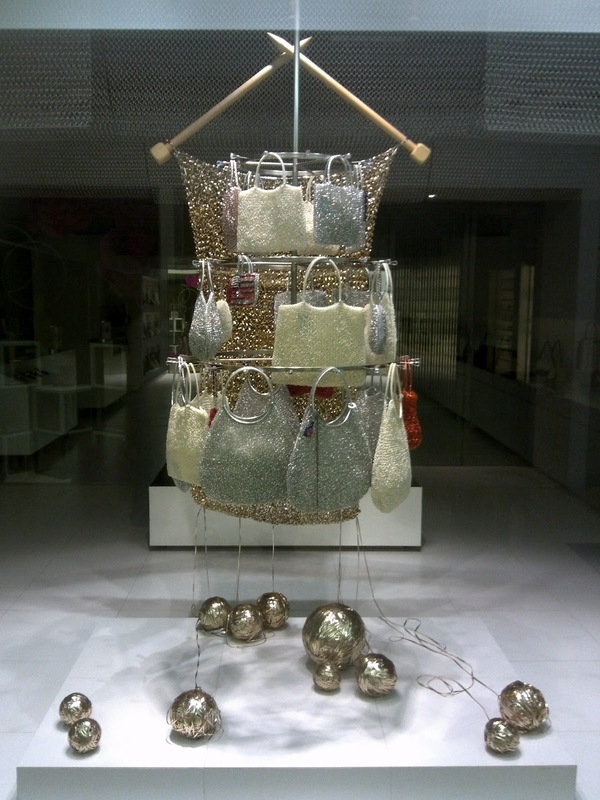 Anteprima is famous with its Wire Bag series collection. 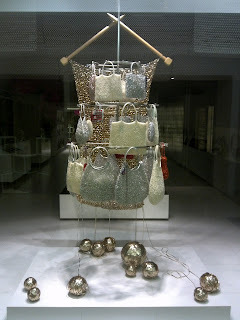 Those bags are made of woven wire cord, of course not the common wire use in the electricity. 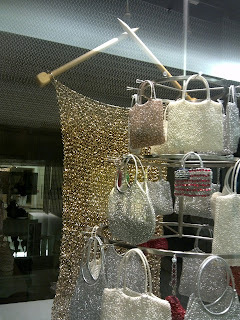 This brand's boutique in Plaza Indonesia, Jakarta, make a unique window display decoration. 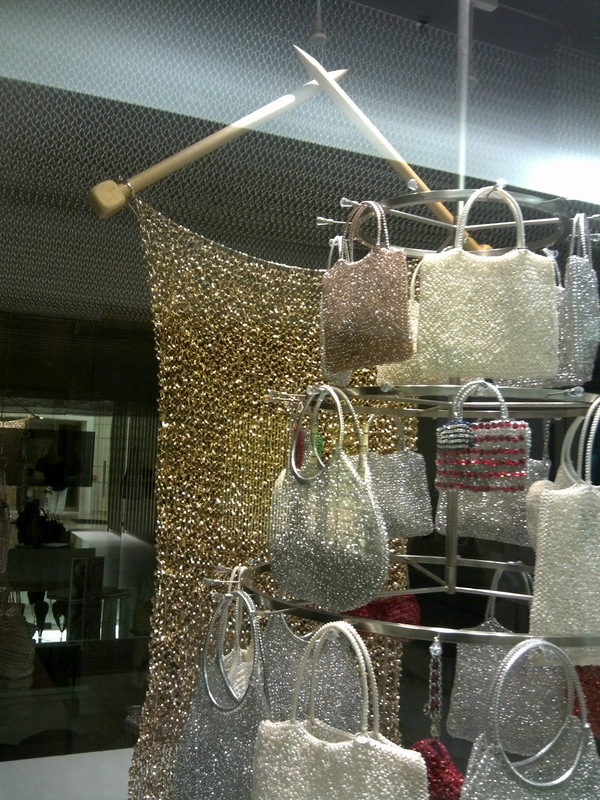 There is a giant wire bag that is still on the process of knit. 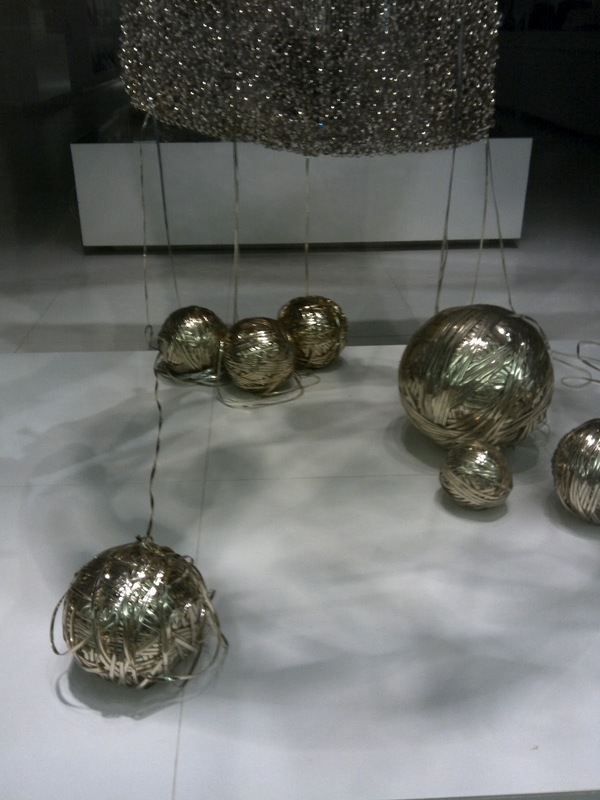 You can see two big needles and the rolls of wire. They all come in golden color.